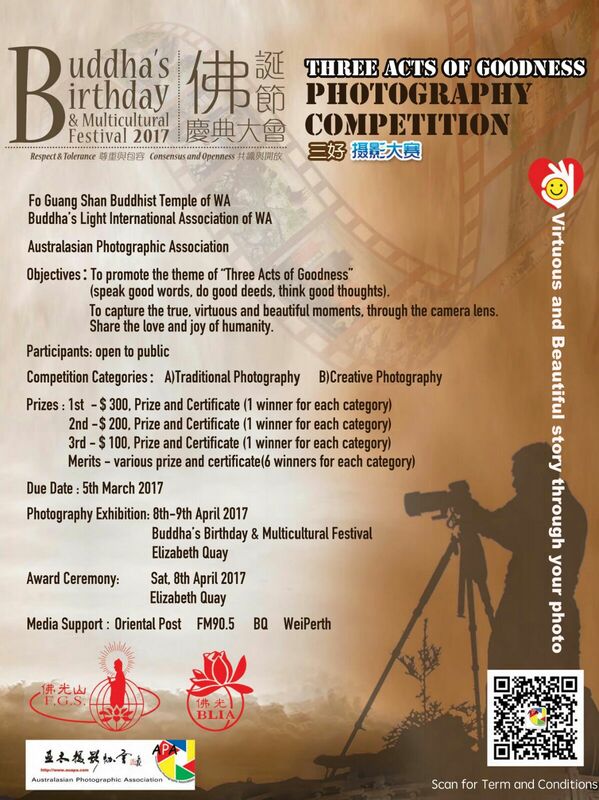 New at this year's Buddha's Birthday and Multicultural Festival is the Three Acts of Goodness Photography Competition. The aim of this is to promote compassion and loving kindness wherever the "Three Acts of Goodness" are displayed. For more information and the terms & conditions of the competition please follow the link either in English or Chinese. 2019 © Buddha's Birthday and Multicultural Festival. Crafted with love by SiteOrigin.